Hello everyone! 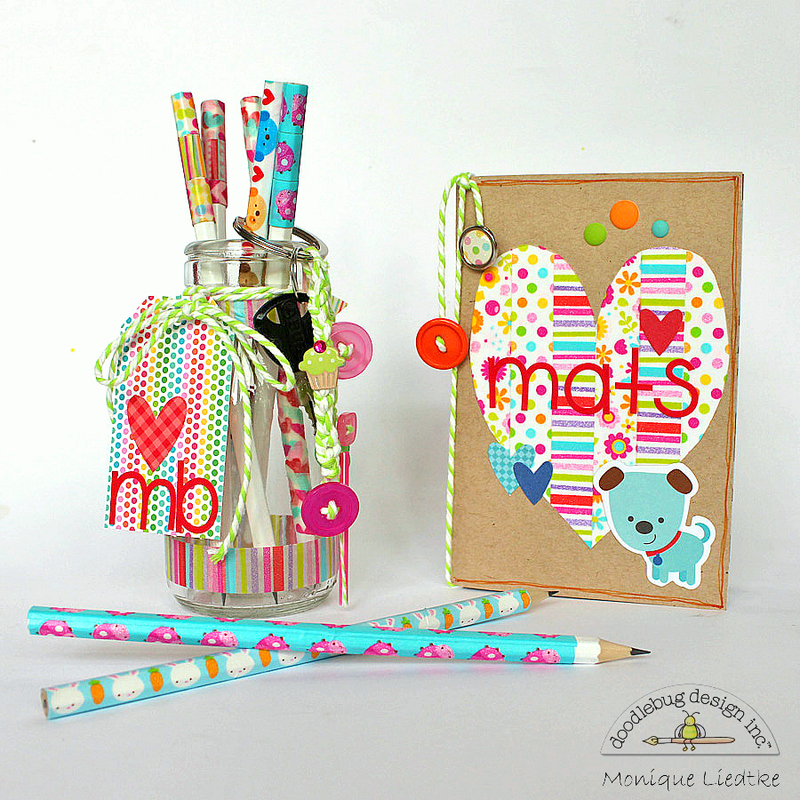 Monique here sharing a fun "back to school" Kids Craft project. In about 2 weeks time the summer vacation will be over and my youngest will have to go back to school. Luckily he loves school and he can't wait to see all his friends again so he has no problem with that! When I suggested that maybe we could decorate some of his school stuff he happily agreed. Here's what we did: we decorated a little notebook, a few of his pencils & the pencil pot and we created a key hanger for his bicycle key. What we mostly used were the super fun washi tapes. We had a bunch of white pencils & a glass (milk) jar we wanted to brighten up. We covered the pencils with washi tapes (some completely, some partly). 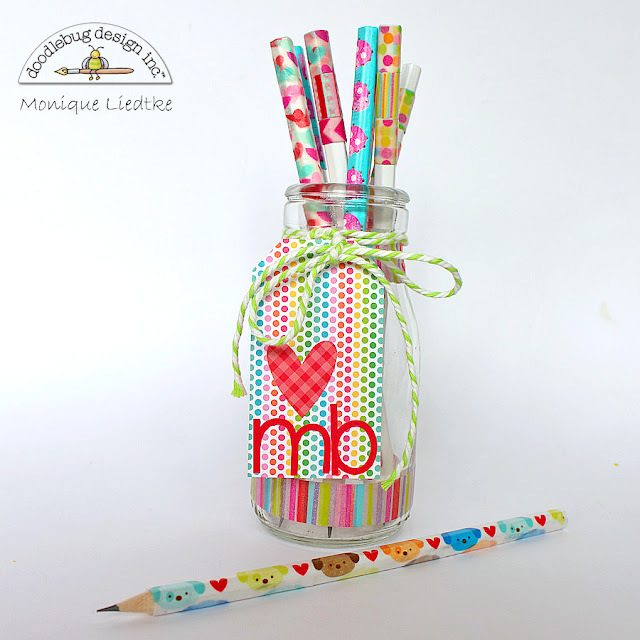 The glass jar got only a few strips of washi tape and a tag with my son's initials, which we adhered with a piece of chunky twine. 1. Fold a piece of white printer paper in two and cut out half a heart. 2. 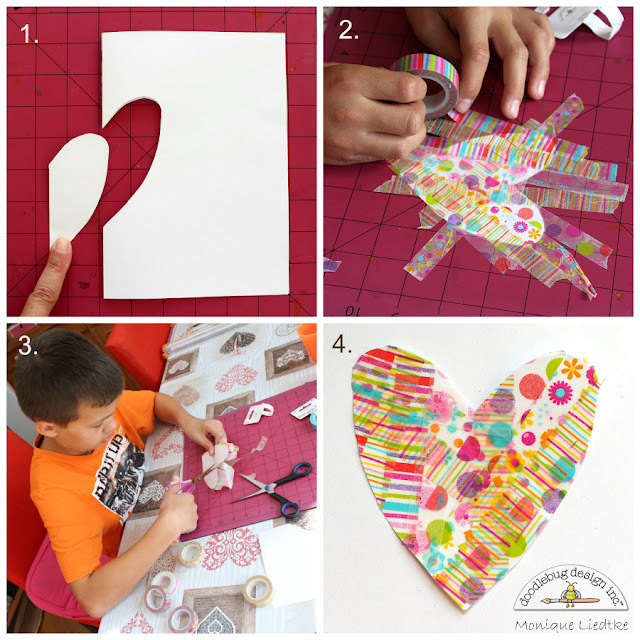 Fold the heart open, place on a cutting mat and randomly adhere strips of washi tape over it. 3. Lift the heart of the cutting mat, turn around and cut around the paper heart using a pair of scissors. 4. Here's your washi heart! Adhere to notebook! 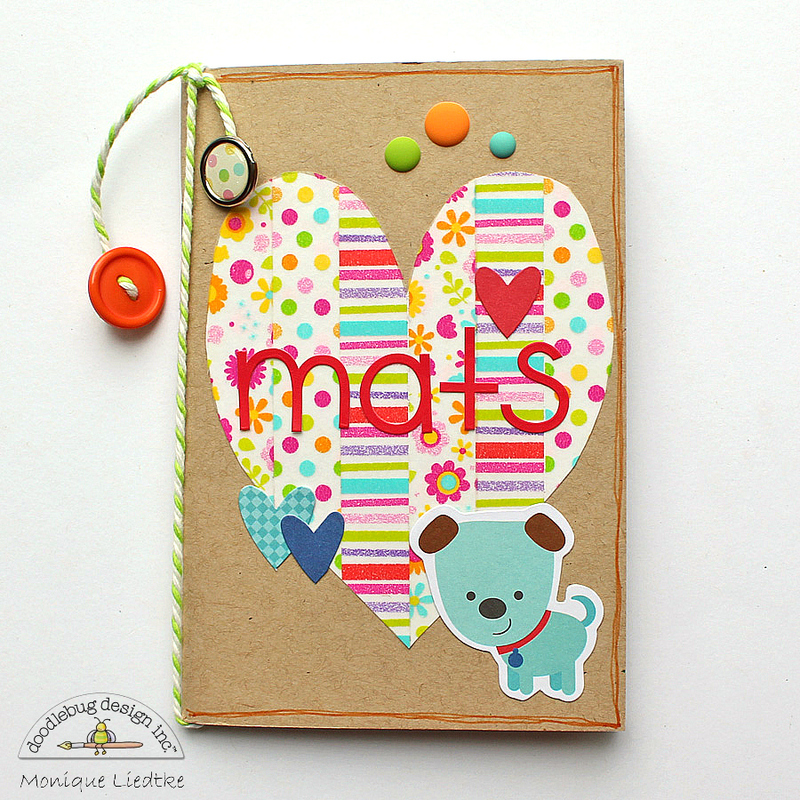 Decorate the rest of the cover of the notebook with twine, buttons, die-cuts, sprinkles and stickers and you're done! 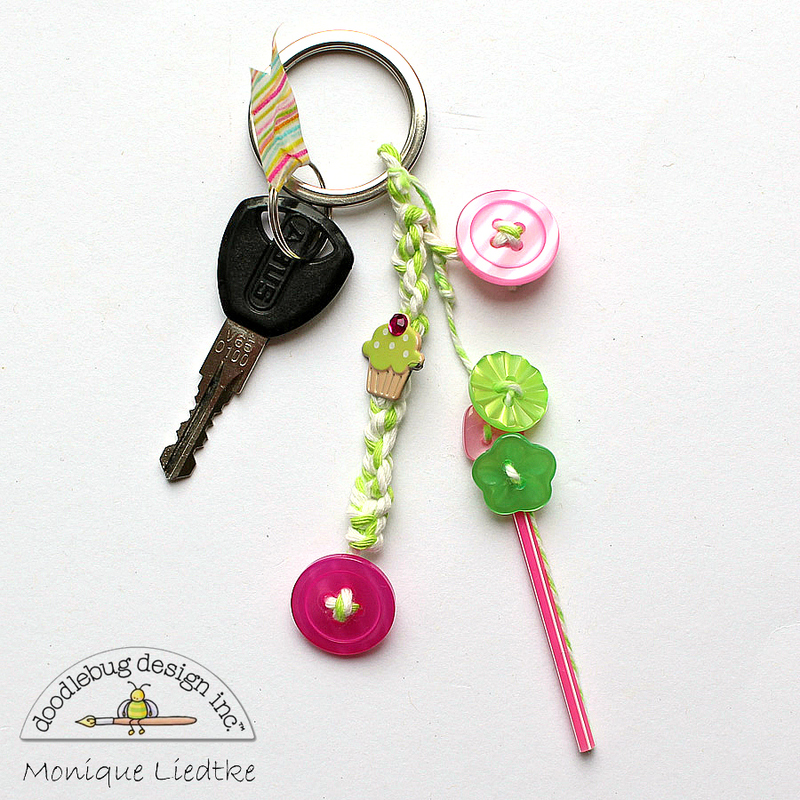 I hope I gave you some inspiration for a (rainy) afternoon crafting with the kids! Onwijs leuk!! En zo gezellig met je zoon om samen te maken. wat zit hij daar lief te knutselen ... smelt :) Ik ga het hart onthouden, lijkt me ook leuk op een moederdagkaart met de klas. These are so fun Monique! I just know my kids would love to make these! Love the fun washi heart too! eek! I love these! How fun are those pencils!